1 How Can It Arise? Inflammation is the response of tissue to injury and is a series of processes initiated to limit damage to tissue. Chronic inflammation arises as a response to injury with associated fibrosis and takes place over a longer period of time than acute inflammation. It is a far less stereotyped process than acute inflammation and has an overlap with host immunity. This article shall consider how chronic inflammation can arise, the cell types involved and clinical examples. Generally the morphology of chronic inflammation is fairly non-specific however the proportions of each cell type will vary depending on the condition. For example, rheumatoid arthritis presents with mainly plasma cells, whereas in chronic gastritis lymphocytes are typically most abundant. 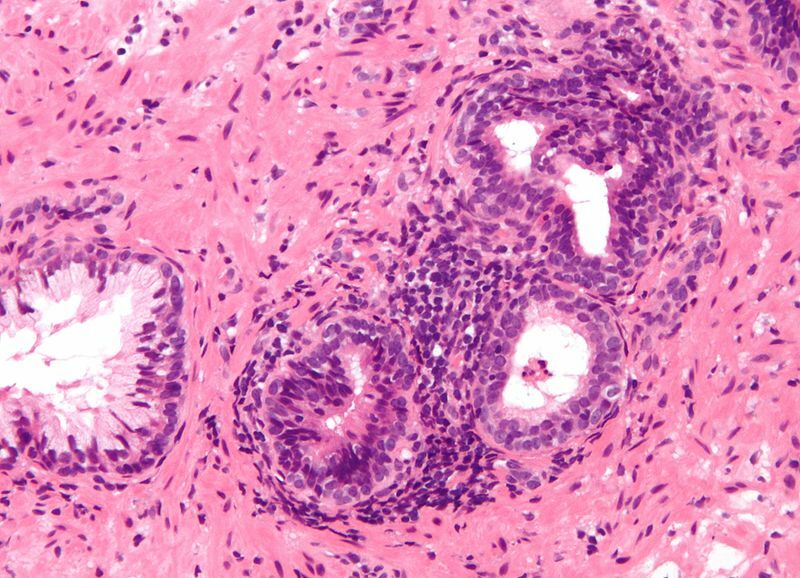 Fig 1 – Microscopy showing normal prostate tissue on the left and prostate tissue with a chronic inflammatory infiltrate on the right. 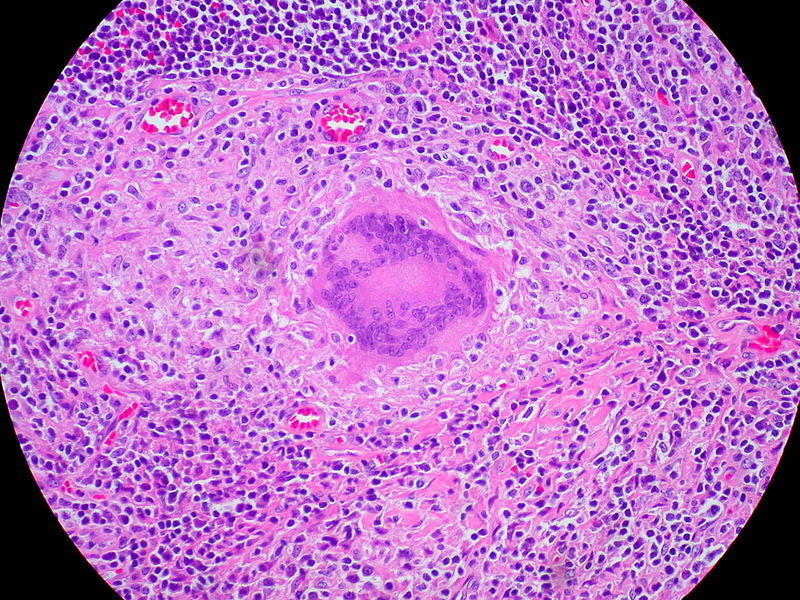 Granulomas are a collection of epithelioid histiocytes (macrophages) that may form in chronic inflammation. They may also have associated lymphocytes or an area of central necrosis. They arise as a result of persistent, low-grade antigenic stimulation or hypersensitivity and the immune system attempts to ‘wall off’ a substance that it is unable to eliminate. Some examples of diseases which feature granulomatous inflammation include tuberculosis, leprosy and Crohn’s disease. 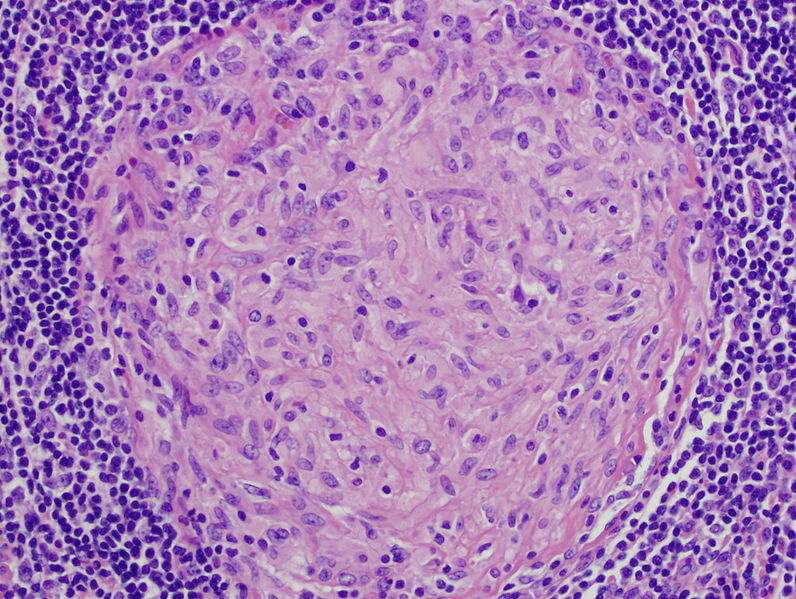 Fig 3 – Microscopy showing a granuloma found in a lymph node biopsy. Cultures grew Mycobacterium avium. Diagnosis of active TB is based on chest X-ray and Ziehl-Neelsen staining of sputum (as mycobacteria do not grow on other stains). Latent TB can be identified using a tuberculin skin test. 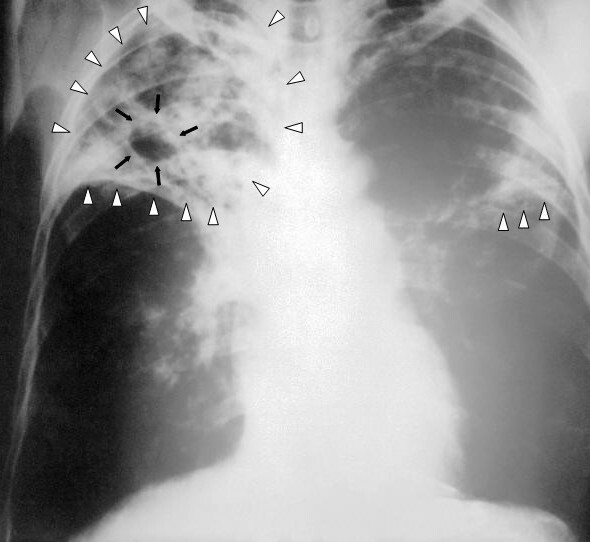 Fig 4 – Chest X-Ray of a patient with pulmonary TB. The white arrows indicate pulmonary infiltrate, while the black arrows indicate cavitation.